I am passionate about healing that is holistic, natural and self-directed. I share this passion with my community through clinical work (both on-site at Pinewood Natural Health Centre – located in north Toronto – and where they live with in-home, in-office or in-community care) and through taking every opportunity to speak on topics of health-full living. As a Chiropractor, I believe whole-heartedly in every body’s ability to heal itself when interference is removed. 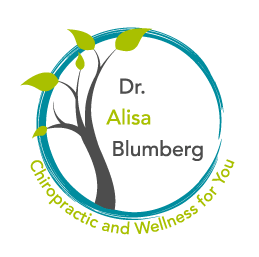 My mission is to educate and empower patients of every age, symptomatology and health goal on their journey towards optimal health and absolute wellness. A patient once described what I do as ‘Facilitating Little Miracles’. I love that description and cherish each opportunity to collaborate for positive change. I am a graduate of the University of Toronto (HonBSc), and Canadian Memorial Chiropractic College (DC), class of 2002. A commitment to life-long learning has led me to continuing education courses in pediatric and obstetric health, Activator technique and, most recently, to embrace the tenets of Bio-Energetic Synchronization Technique – a treatment method that allows me to use a physical but non-forceful energy balancing adjustment, to tune-in the body to its natural healing power. I am committed to staying abreast of the latest developments in technique and research as it relates to holistic healthcare. I travel extensively to upgrade skills and update knowledge as it pertains to the best care I can offer my patients. I am a proud member of both the Canadian and Ontario Chiropractic Associations and the College of Chiropractors of Ontario. When not at the clinic or in classes, I’m most often found shepherding my 3 children (Matthew, Kate and Julian) to their many lessons and activities, enjoying the busy whirlwind I call a happy home, or soaking in the Northern serenity at the cottage with family and friends.